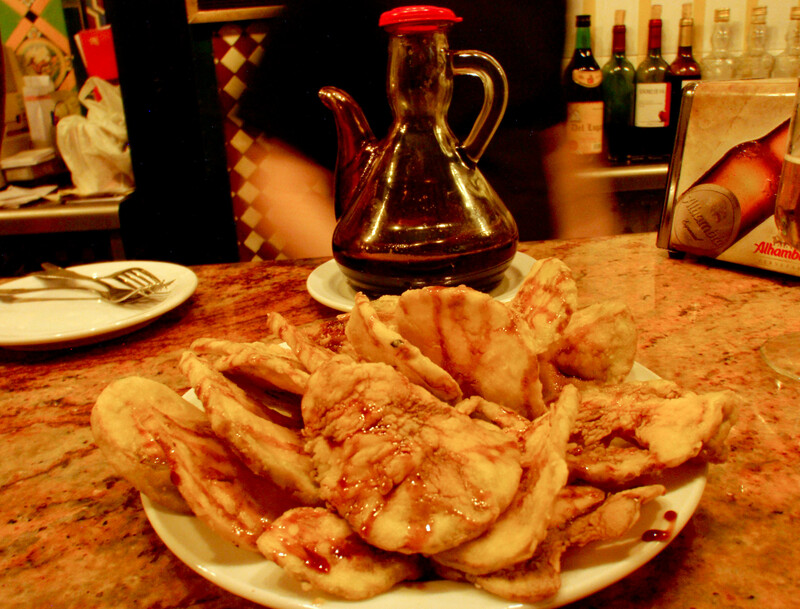 A while back, I wrote a short treatise on the art of tapas featuring my favorite restaurant in Sevilla, with the drawback that what I did wasn’t truly tapear-ing, because I never switched locales, but parked myself at the table until I couldn’t get up to request any more platelets of solomillo. Oh, quick update on that: I am working on the recipe for solomillo al eneldo, but it’s still not quite there. I’ll post it when it gets close enough to the real thing. 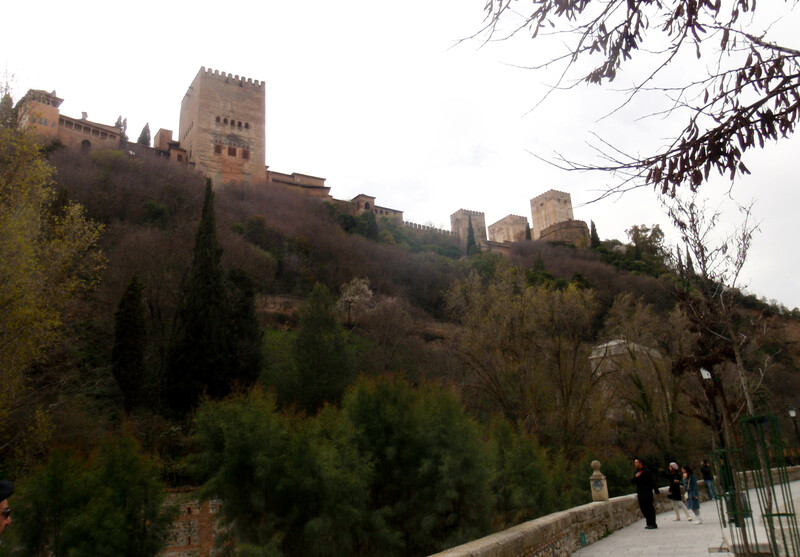 A month or so after that adventure, I tagged along with my roommate and her father on a day trip to Granada. Rosa had a family meeting to attend, so her father and I took a long walk, meandering through the city center and chit chatting about history. After admiring the sights, though, we got down to business, and we slipped into one of his favorite tapas bars. This is the only picture I have of that visit because I was too busy eating and trying to decipher the super Andaluz chatter of twenty-five of Rosa’s relatives. But no worries. A few weeks later, she and I went back, alone, to concentrate on what’s really important. And it’s not the Alhambra above, but tapas. Granada style.